Cynthia Stargell, a minister of music and entrepreneur thinks not. She has launched a campaign called “Respect for the House of God,” focused on taking back the sacred space from technology. What do you think? 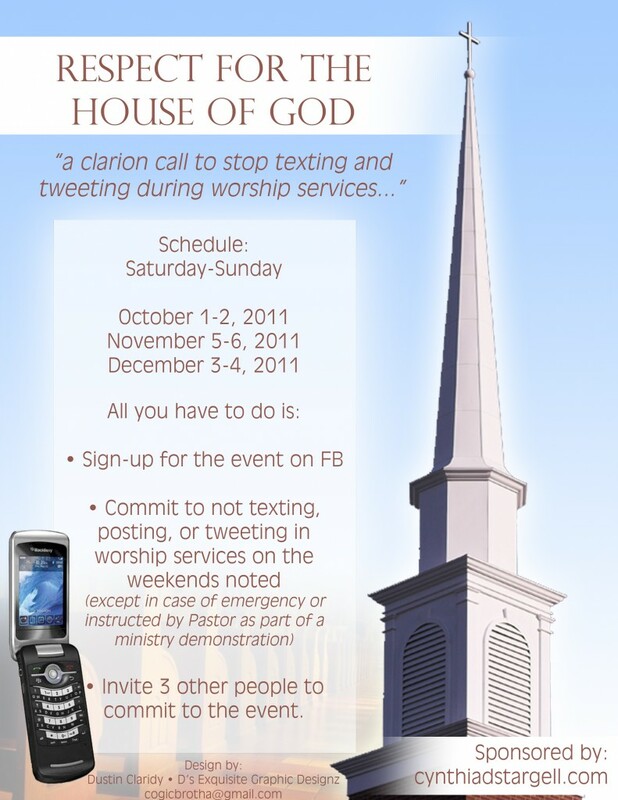 Has technology, and the urge to “Stay Connected” taken over the time that is supposed to be set aside for worship? *Click here for more information about the Facebook event mentioned in the graphic above.